Paul Manafort, former campaign manager for U.S. President Donald Trump and veteran political wheeler-dealer, pleaded not guilty on October 30, 2017, to about a dozen criminal charges stemming from Special Counsel Robert Mueller’s sprawling investigation into Russian interference in the 2016 U.S. presidential campaign. Among other felony charges, the Special Counsel’s office alleged that Manafort and longtime associate Rick Gates “laundered money for nearly a decade through scores of U.S. and foreign corporations and accounts, and gave false statements to the Justice Department and others when asked about their work on behalf of a foreign entity,” per the Washington Post. According to the indictment, Manafort and Gates attempted to conceal the origins of at least $75 million by routing the funds through offshore bank accounts and shell companies. In February 2018, Gates pleaded guilty to two felony counts. In exchange for Gates’ open-ended commitment to cooperate with the investigation, the Special Counsel’s office dropped most of the charges against him. Manafort still faced the October 2017 charges, plus a slew of others included in a superseding indictment unsealed shortly before Gates’ guilty plea. In August 2018, Manafort was convicted on eight of the 18 charges in that superseding indictment; facing a second trial in October, he pleaded guilty a few weeks later to two felony counts of his own and agreed to assist the Special Counsel’s investigation. Manafort’s eventual sentence will depend on the extent and utility of his cooperation, but even the most optimistic forecasts have him spending several years behind bars. The Manafort-Gates case was the most politically explosive money laundering case in years. But the charges, if not the amounts involved or the political context in which the alleged crimes occurred, are actually quite common. Money laundering is ubiquitous among organized crime rings, narcotics syndicates, and white-collar fraudsters. “Money laundering is a common technique used by financial criminals and others to hide illegal gains,” wrote USA Today reporter Kevin McCoy in an explainer piece on the first Manafort-Gates indictments. According to John Byrne, a former executive vice president of the Association of Anti-Money Laundering Specialists quoted in McCoy’s piece, money laundering has more than 200 distinct federal criminal predicates. In other words, money laundering can get you in trouble in a lot of different ways. Note: I’m not an attorney or accountant, and nothing in this post should be construed as legal or financial advice. What follows is for informational purposes only – based on primary and secondary source research, plus interviews with subject matter experts. If you need legal advice, consult an attorney. In the Mike Judge comedy “Office Space,” three disgruntled IT drones develop an ingenious malware program to painstakingly rip off their soulless employer, a fraction of a cent at a time. Thanks to a simple programming error – “I must have put a decimal point in the wrong place,” one character complains – the plan backfires, leaving the hapless first-time criminals with a massive overnight windfall. If they want to avoid jail time, they need to get rid of the money fast. In desperation, they resort to looking up “money laundering” in the dictionary and cajoling a door-to-door magazine salesman into joining their fledgling conspiracy. If you need to look up money laundering in the dictionary before setting your plan in motion, you’re not off to a good start. But Judge’s farcical setup does underscore an important point: Conceptually, money laundering is pretty easy to understand. Money laundering is the act of placing illegal gains “into the financial system in ways designed to avoid drawing the attention of banks, financial institutions or law enforcement agencies,” writes McCoy. The maneuver is called “laundering” because its goal is to “clean” dirty funds – to imbue illicit gains with apparent legitimacy. Here’s an archetypal example. You run a lucrative, highly illegal entrepreneurial enterprise: let’s say an illegal drug distribution ring. Your ill-gotten cash gains are too great to conceal from the IRS without raising their suspicions. So, you begin plowing the funds into a legitimate-seeming enterprise: let’s say a neighborhood pizza parlor owned by you or a loyal associate, who’ll no doubt take a cut for their trouble. Your pizza parlor might look like a perfectly normal restaurant, complete with regular customers and good pizza. But it’s actually a front for your primary economic activity, which you, of course, can’t list on your tax returns or bank account applications. You route most of the money you make selling drugs through the pizza parlor – spending it on kitchen equipment, food products, supplies, services, even labor. Once on the restaurant’s balance sheet, the illicit funds comingle with legitimate gains from paying customers. It’s difficult or impossible to determine whether a given expense involves legit or illicit funds. The answer is, probably both – and that’s the whole point. To untrained observers, you’re running a very successful, totally above-board pizza parlor – nothing more. Because its provenance appears kosher, you feel safe extracting income from the parlor, even though much of it came from an activity that would normally land you in prison. Money laundering is a three-part process. Laundered funds aren’t considered “clean” until the integration step is completed. First things first: “placing” ill-gotten gains into the financial system. Detection risk is greatest during the placement phase due to large-deposit reporting requirements and the questions that naturally arise when large sums of money appear out of the blue. Under the Currency and Foreign Transactions Reporting Act of 1970, or Bank Secrecy Act, banks are required to report to the U.S. Department of the Treasury’s Financial Crimes Enforcement Network (FinCEN) cash deposits, withdrawals, and negotiable instrument purchases (such as cashiers’ checks) in excess of $10,000 per day. The act and derivative departmental guidance also require banks to keep records or issue reports on certain suspicious activities, such as unusual cash deposits by accountholders who don’t normally make such deposits. The Federal Financial Institutions Examination Council outlines current Bank Secrecy Act guidance. For this reason, placing ill-gotten cash means making lots of relatively small bank deposits over time, often in multiple accounts. This is known as smurfing, and may involve lower-level participants (smurfs) who physically deposit cash in their bosses’ accounts. Electronic deposits, such as ACH and wire transfers, don’t need to abide by these strict dollar limits, though that, of course, has no bearing on banks’ and law enforcement agencies’ credulousness. To avoid scrutiny, some money launderers turn to alternative financial systems. Cryptocurrencies, such as Bitcoin, which aren’t subject to the same regulatory requirements as fiat-currency banking, are increasingly popular laundering vectors. So are ancient informal value transfer systems (IVTS), such as fei ch’ien in China and hawala in the Middle East and South Asia. These modes operate internationally, beyond the reach of government financial regulators, and leave little to no paper trail. Those offshore companies were crucial to the enterprise. Many countries, including Cyprus, have lax bank secrecy regulations that allow bank account owners to conceal their identities and, by extension, the source of potentially illicit funds deposited into their accounts. According to the Financial Secrecy Index, Cyprus is the 24th most secretive banking destination in the world – not quite as opaque as famously secretive havens like Switzerland and the Cayman Islands, but not gung-ho about transparency either. The shell companies owned by Manafort and Gates didn’t simply hoard deposited funds. As part of the layering process, they made a slew of investments and purchases. One almost comical example, per Slate: Two Manafort-owned entities based in Cyprus collectively spent nearly $1 million at an antique rug store in Alexandria, Virginia, near Washington, D.C.
During the final step, integration, laundered funds become legitimate. Since it generally involves legal transactions, integration is regarded as the lowest-risk part of the laundering process – though it’s not immune to scrutiny. In the simplified pizza parlor example, an integration transaction might involve the purchase of a new oven or a bulk order of pizza ingredients. Manafort’s integration transactions were more valuable, if no less prosaic: He bought and sold several mansions and purchased a life insurance policy with laundered funds. The above is a broad, highly generalized description of the money laundering process. Some schemes have more than three distinct stages, as the Peterson Institute of International Economics notes in “Money Laundering: Methods and Markets.” And money laundering methods vary endlessly. It’s very likely that the next money laundering scheme you hear about in the news will involve creative curveballs not mentioned above. We’ve already touched on some common money laundering vectors and strategies, such as smurfing and informal value transfer systems. Gambling is an effective way to clean illicit funds. In a simple operation, a launderer or accomplice might use illicit funds to purchase casino chips, hold onto the pile for a period of days during which they may or may not actually gamble, and then cash the chips in for a check made out to the chip-holder or a third party. More complex operations may involve multiple casinos in different countries or territories. If you need to transfer illicit funds from, say, the United States to China or vice versa, you might purchase chips at a casino in Las Vegas, ask the casino to transfer your credit to a sister property in Macau, and then have the Macau property cut you a check next time you’re there. Horse tracks are popular laundering vectors as well. In a typical scheme, the launderer pays a premium for a winning ticket, then exchanges the ticket at the cashier window for a check made out to the launderer or a third party. This arrangement has an added financial benefit (and potential legal liability) for the original ticketholder: Since the launderer pays cash for the ticket, the original holder can conceal the proceeds from state and federal tax authorities with relative ease. The proverbial suitcase stuffed with cash is one of the oldest money laundering vectors around. It’s also among the simplest, and consequently quite risky, especially in international operations that require customs clearance. Still, for criminals engaged in cash-heavy commercial activities, such as wholesale drug or arms dealing, smuggling large amounts of cash is the most straightforward way to physically transfer proceeds without using traditional banking networks. In an ironic twist, says the Peterson Institute, the prevalence of cash smuggling has actually increased in recent years due to the success of banks’ anti-laundering measures. U.S.-based people or entities generally have less trouble smuggling U.S. currency out of the United States, as federal authorities devote more resources to interceding large incoming cash shipments. Life insurance policies are more lightly regulated than some other financial instruments, making them ideal money laundering vectors. Paul Manafort used a multimillion-dollar life insurance policy to launder funds – and, later, to put up collateral for his bail package. In a typical scheme, the launderer purchases a single-premium life insurance policy that names the launderer or a trusted associate (often a relative or spouse) as the primary beneficiary. The launderer holds the policy for a period of time, then cashes out its value with a “clean” check from the insurer. In a more complex scheme, the launderer might draw directly upon the policy’s value (if permitted) or use it as collateral for a third-party loan from a bank or other financial institution. According to the Peterson Institute, clever launderers favor policies sold through intermediaries, which provide additional layers of separation between the policyholder and issuer. Years may elapse between a policy’s purchase and cash-out dates, further quelling regulators’ concerns. The securities industry is ripe for fraud and abuse, of which money laundering is just one aspect. One common securities-aided laundering scheme, according to the Peterson Institute, involves the use of stock option transactions: simultaneous puts and calls representing mirror-image bets on a particular security’s price action, purchased with illicit funds. Under normal circumstances, the value of a given security’s put and call contracts rises and falls in roughly inverse relation, meaning the value of one of the two bets made by the launderer should increase. The launderer can sell the profitable contract and cancel the loss-making contract at any time before their expiration dates, likely breaking even (or close to it) before accounting for transaction fees. The proceeds appear legitimate, complete with capital gains tax liability if applicable. The lightly regulated real estate industry is awash in laundered funds. 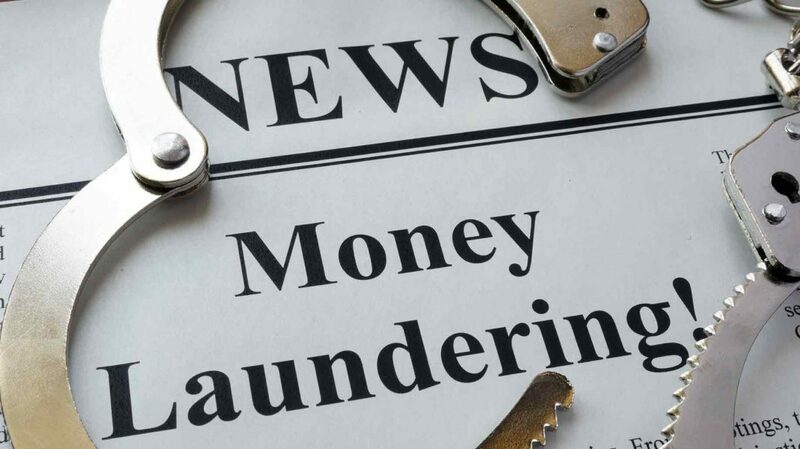 Laundering transactions often feature shell corporations – companies that exist for the sole purpose of holding other corporate entities or assets, whose ownership may or may not be anonymous – to conceal buyers’ true identities or the sources of their funds. Due to the high value of the assets involved and the inherent opacity of properly executed transactions, luxury real estate is a common wealth-sheltering tool for wealthy individuals based in authoritarian or corrupt countries, such as China and Russia. Particularly if they’re politically active or engaged in business activities that run counter to the ruling party’s interests, it’s safer for such individuals to invest in high-end properties in Miami, San Francisco, or Vancouver – expensive markets in politically stable countries – than to stash cash in home-country bank accounts. 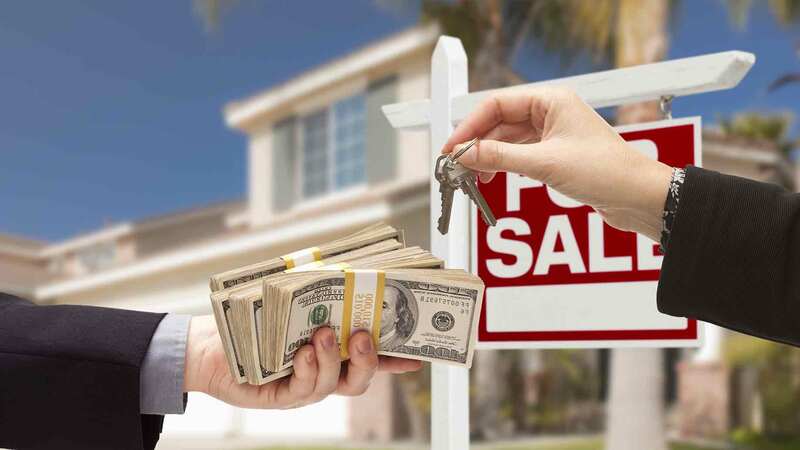 Even if they must subsequently sell their overseas real estate holdings at a loss, the alternative – entirely frozen or seized accounts – is worse. Currency exchange bureaus are lightly regulated, deal in large amounts of cash, and routinely facilitate international value exchanges: all music to money launderers’ ears. The only real downside for launderers is currency exchange bureaus’ high exchange fees, which can range up to 8%. That might make them less than ideal for frugal international travelers, but it’s a small price to pay for relatively low-risk laundering transactions. According to the Peterson Institute, one common currency exchange laundering technique involves “chang[ing] large amounts of criminal proceeds in local currency into low-bulk European currency” – €500 bills – “for physical smuggling out of the country.” Launderers still need to deal with customs officials in their destination countries, but at least they don’t have to answer any pesky questions from credulous currency exchange bureau staffers. We’ve seen how money laundering works. Simple enough. But why is it used? Here’s a look at several broad domains where money laundering is common. Drug trafficking is a cash-intensive business. Its supply chain is often formidably complex, crossing oceans and multiple international boundaries, and it’s usually illegal from start to finish. Though simplified and dramatized, the drug trafficking operation featured in the 1983 film “Scarface” nicely illustrates the complexity at play here. Its eponymous mafioso, played by Al Pacino, worked with a South American kingpin who ran a vast, vertically integrated cocaine operation. The kingpin grew coca on a sprawling Bolivian estate, processed the harvested plant material into cocaine, and leveraged a multimodal smuggling network (planes, boats, submarines) to get the finished product into the United States. On the U.S. side, Pacino’s character used a shady Miami bank to launder millions in cash proceeds, financing an ostentatious South Beach lifestyle (and steadily worsening cocaine habit). For ideologically motivated terrorist groups, money is a means to an end. Still, every terrorist organization – and lone wolves too – require some source of funds. Terrorism-related laundering is also complicated by the fact that some groups that directly or indirectly support terrorist activities have legitimate or apparently legitimate functions, such as political advocacy. For instance, while Hezbollah’s political arm is an established and functional (if antagonistic) presence in Lebanon’s parliament, its militant wing brazenly launders money from Iran and elsewhere to purchase weapons and support battlefield operations across the Middle East. Whether you take cash directly out of the cash register or mastermind a complex scheme to relieve your bank’s clients of funds held in their accounts, you’re committing embezzlement. The “Office Space” guys’ ill-fated scheme is a perfect example. Since embezzled funds are by definition illicit, their source needs to be concealed before they’re safe to spend. Like drug traffickers, arms dealers trade in illegal, expensive products that need to be bought and sold off the books. But not all money laundering prosecutions arising out of arms trafficking investigations involve thousands of weapons and vast sums of money. This case, reported by MLive in 2015, is typical of an arms-related laundering effort: It involved the sale of a relatively small number of illegal automatic weapons through the dark web, using cryptocurrencies to hide the provenance of transaction funds. For better or worse, there are lots of ways to make money illegally – and, it follows, a lot of reasons to launder money. Manafort and Gates don’t fall neatly into these four buckets, for instance. Much of Manafort’s illicit income came from unregistered, off-the-books political consulting for foreign governments and individuals, for instance – a crime in and of itself. As McCoy notes in USA Today, there are “more than 200 distinct federal criminal predicates” for money laundering. And that’s just under federal law. State anti-money laundering statutes complement federal statutes. Most nation-states have legal codes dealing with money laundering too, though penalties and enforcement vary greatly. For simplicity’s sake, we’ll stick with U.S. federal law. Here’s a look at potential criminal and civil penalties for money laundering and related activities. According to the U.S. Department of Justice’s money laundering overview, 18 U.S.C. § 1956 and 18 U.S.C. § 1957 (Sections 1956 and 1957 of the United States Code) govern money laundering and related criminal conduct. Under 18 U.S.C. § 1956, money laundering transactions must occur with specific intent, as further spelled out in the section. Let’s take a closer look at the standards of criminal culpability for each type of money laundering identified in 18 U.S.C. § 1956. § 1956(a)(1)(A)(i): “Intent to promote the carrying on of specified unlawful activity.” Said unlawful activity might include the sale of illicit goods, such as controlled substances or banned weapons, but can theoretically include any activity that’s illegal under U.S. federal law. § 1956(a)(1)(A)(ii): “Intent to engage in tax evasion or tax fraud.” This is what got Manafort and Gates in trouble: the pair laundered money for the express purpose (among others) of hiding gains from the IRS. § 1956(a)(1)(B)(i): “Knowledge that the transaction was designed to conceal or disguise the nature, location, source, ownership or control of proceeds of the specified unlawful activity.” This differs from § 1956(a)(1)(A)(i) in that intent to promote unlawful activity is not required, only knowledge that the transaction conceals some aspect of the unlawful activity. Notably, the intent to avoid tax liability or otherwise circumvent U.S. tax law does not apply to 18 U.S.C. § 1956(a)(2). The other three intents are broadly similar to those laid out in 18 U.S.C. § 1956(a)(1). Transactions covered by 18 U.S.C. § 1956(a)(2) must cross the U.S. border in some fashion. That is, they must originate or terminate in the United States. Wholly domestic (originating and terminating in the U.S.) and wholly international (originating and terminating in third markets or countries) fall outside this subsection’s scope. In other words, if you’re ensnared in a money laundering sting, the government has a higher hill to climb in proving its case against you. Not all money laundering cases call for the maximum penalty, of course – particularly in cases involving plea bargains. However, many individuals convicted of money laundering offenses spend substantial amounts of time behind bars and forfeit huge sums. The criminal penalties for 18 U.S.C. § 1956 violations make the statute’s civil penalty appear light by comparison, but it’s nothing to sneeze at. If prosecutors find cause to pursue civil penalties against individuals or entities accused of money laundering, said individuals or entities may be liable for a penalty “not more than the greater of $10,000 or the value of the funds involved in the transaction,” according to the DOJ. 18 U.S.C. § 1957 differs from 18 U.S.C. § 1956 in two notable respects: the intent requirement and the penalties for violation. § 1957’s intent threshold is much lower than § 1956’s. The four intents applicable under § 1956(a)(1) do not apply to § 1957. As long as prosecutors can show that each applicable transaction exceeds $10,000 in value, they do not need to prove willful intent to commit an offense under the section. On the bright side, there is no civil penalty for 18 U.S.C. § 1957 violations. Most money laundering operations never make national headlines, even when they’re detected by the authorities. Many perpetrators successfully evade accountability. But plenty get caught. These are among the most notorious money laundering operations of the past 100 years. The Special Counsel singled out $18 million that Manafort concealed from the U.S. government in a bid to avoid taxes. According to NBC and other contemporaneous reports, the charges were brought in part to avoid potential statute of limitations issues, which would prevent prosecution of older crimes. 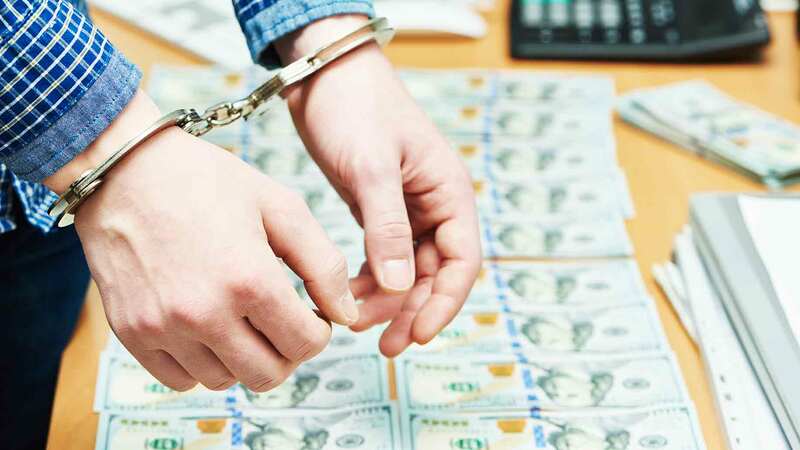 The superseding indictment filed in February 2018 included additional financial crimes, including bank fraud and wire fraud, related to the pair’s alleged money laundering activities. At first, Manafort and Gates effected spirited resistance to the Special Counsel’s charges, but both capitulated eventually as legal bills (and, in Manafort’s case, convictions) mounted. Once they’ve satisfied the terms of their cooperation agreements, which could take many months or years, both men will be sentenced for their respective crimes. In Manafort’s case, the Special Counsel has reserved the right to bring additional charges. Manafort and Gates aren’t the only recent U.S. political figures to face accusations of financial crimes. U.S. representative Tom DeLay (R-TX), the House Majority leader at the time, was indicted in 2005 on charges of conspiracy to violate election law, conspiracy to commit money laundering, and money laundering related to campaign fundraising activities during the 2002 election cycle. The conspiracy to violate election law charge was later dismissed, but the money laundering case proceeded, and DeLay decided to resign from Congress in 2006 (per NPR) rather than face a long trial in the public eye. The ordeal was indeed long. In November 2010, a jury in Travis County, Texas, convicted DeLay on both remaining counts. He was subsequently sentenced to three years in prison and 10 years’ probation. DeLay’s legal team successfully appealed the conviction, and the criminal case officially came to a close in 2014. According to the New York Times report, BCCI “took money from more than a million depositors around the world and became a personal piggy bank for its Arab and Pakistani owners and its favored customers.” Those favored customers included some of the period’s most notorious criminals and dictators, including Saddam Hussein, Manuel Noriega, and members of Pablo Escobar’s Medellin drug cartel. According to Congressional testimony cited in a contemporaneous Time Magazine article, BCCI also maintained accounts for the Central Intelligence Agency and the National Security Council, both of which took advantage of the bank’s “ask no questions” policy to finance a variety of covert activities, including the infamous Iran-Contra affair. As losses from fraudulent loans mounted, BCCI took increasingly desperate measures to paper over the trouble: using customer deposits to make interest payments on other loans, making new fraudulent loans to shareholders for the express purpose of buying bank stock. In the summer of 1991, international authorities seized the bank’s assets and shut down its branches. In December 1991, Deloitte & Touche, the liquidators charged with winding down the bank’s assets, pleaded guilty to a slew of criminal charges brought against founder Agha Hasan Abedi and an associate by U.S. authorities in New York. Abedi was never brought to justice, however, thanks to his native Pakistan’s refusal to extradite him to face trial in the U.S.
Legal action and financial clean-up related to the BCCI debacle continued for decades. Deloitte & Touche settled a lawsuit against auditors in 1998, then labored to recover depositors’ funds over the subsequent decade-plus. Deloitte finally closed the case in 2012, per The Guardian – more than 20 years after BCCI’s collapse. Some early cryptocurrency proponents got more than they bargained for from Liberty Reserve, a Costa Rica-based financial website that facilitated international cash transfers and cryptocurrency conversions. With low transaction fees and no identification-verification requirements, Liberty Reserve was a magnet for hackers and other criminal types. By the time the U.S. Secret Service arrested five of the site’s masterminds in 2013, Liberty Reserve had facilitated some $6 billion in suspected money laundering transactions, according to Fox News. Unfortunately, legit users got the short end of the stick: Fox News talked to a Texas-based small business owner who lost $28,000 when Liberty Reserve collapsed. Some measure of justice was served, though. In 2016, Liberty Reserve founder Arthur Budovsky pleaded guilty to one count of conspiring to commit money laundering, according to the U.S. Department of Justice. His sentence: 20 years in prison. British banking behemoth Standard Chartered’s scheme made BCCI’s look like child’s play. During the 2000s, a “rogue unit…schemed with Iran’s government to hide more than $250 billion in illegal transactions for nearly a decade,” according to The Guardian. The transactions helped Iranian officials and prominent Iranians evade U.S. sanctions on the theocratic regime, degrading the sanctions’ effectiveness. Standard Chartered quickly settled the charges, paying $340 million to NYSDFS and more than $300 million to other regulators. The settlement compelled the bank to implement and follow strict anti-money laundering protocols. Said protocols apparently weren’t strict enough: Just two years after the original settlement, Standard Chartered paid another $300 million to settle allegations that it violated the agreement with NYSDFS. We’ve seen individuals mastermind audacious financial schemes to cover for illegal activities. We’ve met global banks that condone international fraud and deception on a massive scale. Now, we meet the rarest of all white-collar criminals: a nation-state that’s all-in on money laundering. That might be unfair to the fine people of Nauru, a tiny South Pacific island nation described in a 2000 New York Times feature as “one of the most obscure places on the planet.” The steadily declining population now numbers about 10,000, some 90% of which are unemployed. Nauru was once a hive of activity. The island had one of the world’s richest deposits of phosphate, an important commercial fertilizer ingredient. Foreign mining interests laid waste to the 21-square-mile island’s interior during the 20th century, supporting a vibrant (if quasi-colonial) economy. But the boom times were gone for good by the late 1980s, prompting an increasingly cash-hungry government to reinvent Nauru as an offshore banking destination and tax haven. The government went so far as to offer passports to foreign nationals (for a hefty up-front charge) and allowed anyone to charter a bank with a $25,000 down payment. At the peak, as many as 400 banks operated out of Nauru: one for every 30 people on the island, give or take. By the 1990s, Nauru was awash in Russian mob money – at least $70 billion, according to the New York Times. The situation came to a head in 2001, when Nauru became the first nation-state sanctioned by the international Financial Action Task Force on Money Laundering. Facing down bankruptcy, the government responded with tough anti-laundering legislation and took steps to diversify its economy, building a controversial but lucrative offshore detention center for the Australian government. Though the Nauruan banking industry’s Wild West days are well behind, problems persist: In 2016, escalating laundering concerns prompted Australian banking behemoth Westpac to cease doing business with the Nauruan government, according to the Australian Broadcasting Corporation. This is a good time to reiterate that money laundering is an illegal activity designed specifically to conceal ill-gotten gains from other illegal activities. Don’t construe the foregoing as an instruction manual or cheat sheet of any kind, nor an implicit endorsement of felonious financial maneuvers that regularly land perpetrators in jail and destroy their lives. In any case, why resort to illegal enterprise when there are so many aboveboard ways to make money? If you’re looking for ideas to supplement or replace your current income streams without running afoul of the law, check out our guide to common passive income ideas or popular side gigs that actually pay. Have any money laundering cases caught your eye recently?